Full transcript of the video “On the Welfare State, employment, unemployment and underemployment”: https://www.youtube.com/watch?v=gUUtrOYaY8w (Excerpt from "Is there a future for the capitalism?" 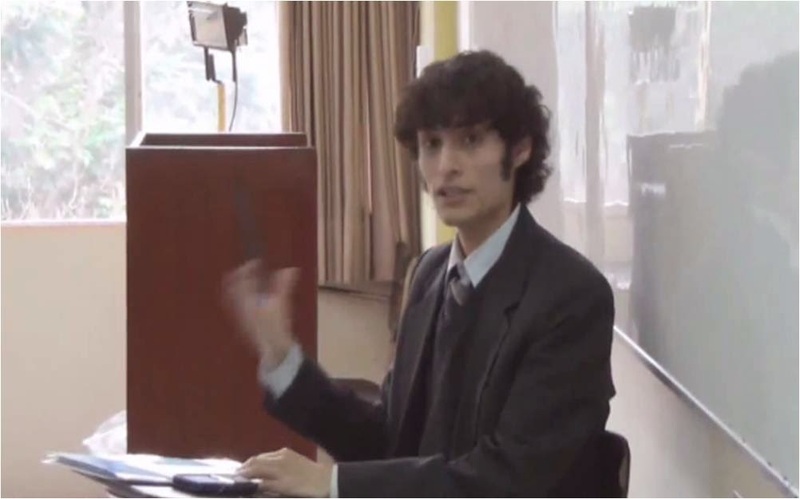 -full video in Spanish-, discussion organized by Dante A. Urbina in the course of Political Economy, Faculty of Economic Sciences of the Major National University of San Marcos (Lima - Peru) on July 5, 2013). This leads us to the issue of the Welfare State. The Welfare State has as its fundamental point an infrastructure of free market capitalism but with redistribution, this means that production is carried out based on a capitalist free market, incomes are generated and from them redistribution is performed. However this cannot be sustained long term and may not be sustainable in times of crisis when production falls. And that is what is currently showing us the financial crisis and the protests in Greece and all other countries. I think the problem is in the mechanism, that is, instead of generating mechanisms to ensure that all people can participate meaningfully in the productive system and get their own income based on their effort and work, what is done is only a redistribution process that depends on only a certain members of society. So, in fact, the Welfare State can end excluding. Precisely the Welfare State is given in Europe where the phenomenon of multilocalization or delocalization of production is most pronounced, that is to say, where you can put a company in Switzerland and get that your whole production takes place in Africa, or the bulk of the production takes place in Africa, but the brand is from Switzerland. That dynamic of delocalization of firms in the context of globalization is generating an unemployment problem in a important part of developed countries because, as people in Europe live in a Welfare State, the State protects certain social rights to ensure that wages are relatively high. What the companies do in this context of globalization is this: they seek labor force abroad or outsource the production, they go to developing countries where the laws are not as strict and where it is not established a Welfare State, and pay much lower wages and even establish systems of informal recruitment or outsourcing of services, etc. So we see that in developed economies, with this scheme, unemployment is being created and, in underdeveloped economies, employment is not being created. In underdeveloped economies is underemployment what is being created, or forms of precarious employment. And this is something that Peruvian economists should keep in mind because whenever we see statistics, when we see how the employment or the unemployment are moved, we forget that our country (Peru) has underemployment basically. However, what extent economic theory helps us think about underemployment? Economic theory speaks us in terms of employment and unemployment, but not about the content of the working conditions. That's a problem we have here and that is being generated in globalization. Then we also have to think about that.